Well that made you look didn't it? We've seen David Beckham in his pants and now Justin Bieber is flashing his 'bits' at the fabulous La Rinascente Duomo in Milan. 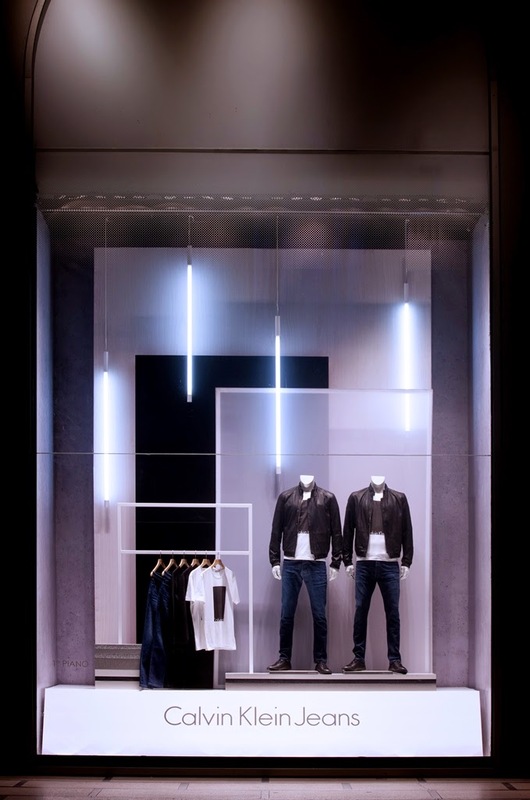 Full-sized window vinyls fill this space, all illuminated with White neon strip lights to celebrate Calvin Klein's launch of this famous underwear as worn by the pop star himself and Lara Stone. Biceps, six pack, tattoos, pecs and well you know what. We have seen this scheme in London although across such large windows it does have quite a significant impact.